More accurate NC code eliminates tool overloading which increases tool life. Eliminating deviations in the NC code creates surface finishes only polishing was able to produce before. More accurate NC code allows you to use longer length to diameter ratios making small areas machinable. More accurately machined parts take less time to spot together. Increased tool path accuracy has allowed our customers to machine exotic materials above 60rc and carbide. Higher accuracy tool paths allow the use of .1mm tools without the worry of breaking them. The customer could not believe the quality of the product we had manufactured. The quality and accuracy exceeded what they had expected. We have since become their main supplier for prototype projects, along with their manufacturing for production products. Danny Busse, Rice Engineering & Operating Ltd. Contact Us for a Demo and Free Trial Today! Most CAM system calculate their tool path using what is referred to as a triangulation mesh. This means putting a virtual net over the model and using the intersecting points to calculate their tool path. This mesh creates inaccuracies in the NC code and in turn your part. 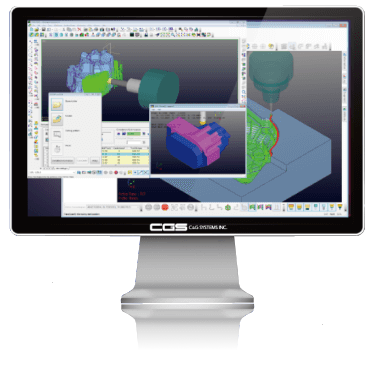 With CAM-TOOL’s surface calculation, your NC code is directly offset from the surfaces to ensure smooth, accurate tool paths that are true to the model. This higher accuracy NC code increases tool life, surface finish and produces more accurate parts. Competing CAM software that utilizes Triangular Mesh Calculation results in breakage of the spindle and tools, over-cutting, shorter tool life, substantial polishing, cutter marks on the machined surface and molds that do not fit within the tolerance level. 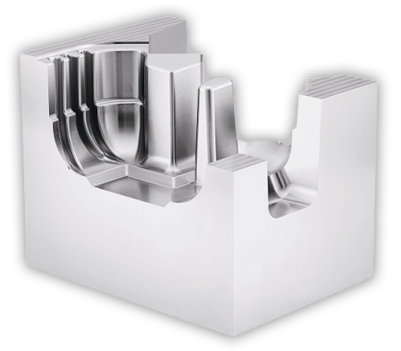 CAM TOOL’s unique Surface Based Calculation for tool paths results in a superior surface finish, longer tool life, reduced machining time, prevention of machining accidents, and reduced finishing time. 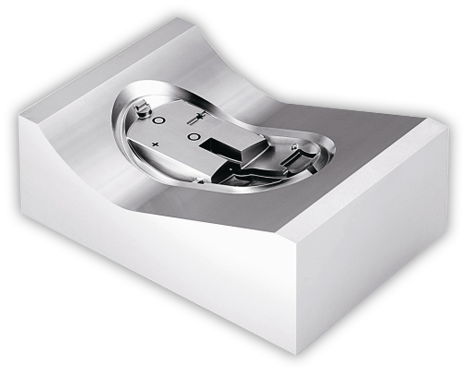 True Surface Offset NC Data allows machining to the tightest tolerances in the industry! The time required to machine a typical mold component has been dramatically reduced since we added CAM TOOL as our default CAM software system. The surface finishes that CAM TOOL can produce are second to none and the machining accuracy is unparalleled to any other CAM software we’ve tested.